Bill & Mick Jagger visit Sen. Ted Kennedy. Hansen and the family dog, Sammy. Service during the Kennedy Presidency. Every once in a while a book comes along that defies conventional classification. It’s non fiction, yet reads like a novel; its main character is larger than life, a little like John Wayne and yet his clients included the Rolling Stones, the best known rock band in the world. He was a member of President John F. Kennedy’s Secret Service and managed country singers as well.Almost everyone he has ever come into contact with learned to respect his honesty and morality. Whenever someone needed to get a difficult job done and get it done well, the word would go out to “Get Carter”. 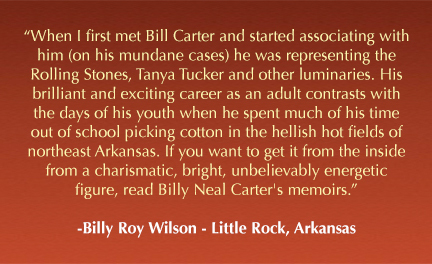 Bill Carter is that man and his memoirs, “Get Carter – Backstage In History From JFK’s Assassination To The Rolling Stones” will take you on a wild ride through the second half of the Twentieth Century. When you pick up this book, be prepared to sit and read for a while because you won’t be able to put it down. 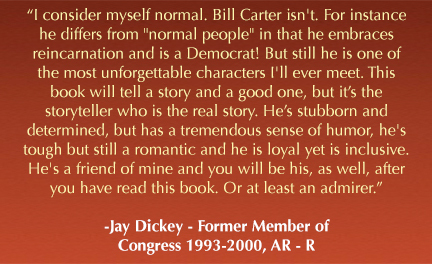 Bill Carter tells the story of a country boy from a modest background who learned to be comfortable walking the halls of power, surrounded by some of the most powerful and influential people of the time. He weaves his tale with such down home charm and wit that you find yourself imagining not only that you are there beside him, but that you are shaking the hands of the very same movers and shakers as Bill himself. You get to look behind the scenes of John F. Kennedy’s Washington and you’re there on that terrible day in Dallas, Texas … the day the world changed forever when three shots rang out in the afternoon sun and our beloved young president lay dead at the hands of a madman. You’re there in the underground garage when the madman himself is slain in front of a shocked nation, leaving questions unanswered to this very day.